Every Android fan might already have an idea that Google gives the names of the Android OS versions based on some delicacy, with the idea that every new version is a treat. There are quite a lot of new Android versions released till date, with the latest one now is the Android Jelly Bean OS, which came with the version number 4.1. The first one ever was Android 1.0 and the first beta ever released was in November 2007. Check out the list below for the various major and minor Android updates and the different Android versions that were made available for the Android devices. The first ever Android beta was available on November 5th, 2007 while the SDK with that had come on 12th November 2007. 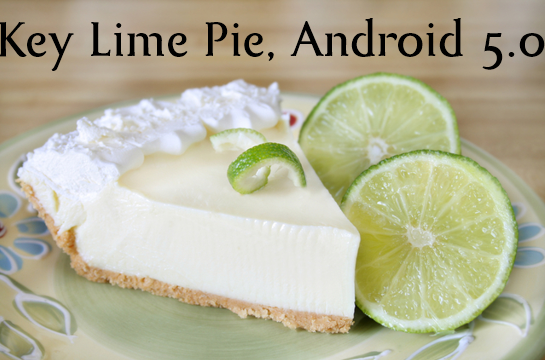 And the new one that is going to come, is the Android 5.0 Key Lime Pie. This was one of the major updates that was made in the past, after the Froyo OS version, where there were updates made to the memory and performance optimization, and push notifications were enabled for CD2M messaging. Internet sharing was all possible from this version, where the USB tethering and the Wi-Fi Hotspot was made available. There was a support for the bluetooth enabled devices and cars, and the Android market (which was then not called the Play Store) was updated with the features for automatic and batch updating of the downloaded applications. For the first time, there was a support for the Adobe Flash player to view the flash content from the mobile devices. Before Gingerbread, the devices were not of high resolution, and the Android 2.2 came with the support for the 4-inch 720p display resolutions. There were minor updates such as Android 2.2.1, 2.2.2 and 2.2.3 all with a few bug fixes and performance improvements. The Gingerbread version of the Android OS came in with a totally revamped home screen and the speed was made faster. The support was extended to even larger screens, and one of the very much needed features – Copy & Paste got much changes and betterment in this version. Some other noticeable changes that were made, included the support for Near Field Communication, a new Download Manager for the entire device, support for the front-facing camera if the manufacturer was providing that. The Google Nexus S was the device that came in with this major announcement, and the 2.3.1, 2.3.2 versions came in with a few bug fixes for this smartphone. This OS version ran for long, with a total of 7 updates sent, till 2.3.7 where every time there were improvements and bug fixes done, one of the important ones being the fixing of the Bluetooth bug on the Samsung Galaxy S, and providing the Google Wallet support for the Nexus S 4G version. Added a System bar which gave a quick access to the notifications, settings, navigation buttons and all this was accessible easily from the right bottom corner of the screen. Added an Action bar which gave an access to the various apps, widgets and shortcuts and accessible from the right top corner. Later came in the various bugs fixes and improvements with the refinements to the user interface. The ICS version was first publicly released on October 19th 2011 where there were features pulled from the Android 3.0 for the smartphones. The change log would be totally huge, as Google, the maker of Android OS had decided to bring out the new OS versions only when there is a major overhaul of the features. Then came in the Android Jelly Bean OS with a lot of overhaul, and we would be updating the article with several features that were worth mentioning. With more than 1 billion android activations and growing, today Sundar Pichai announced that the next version of Android ie 4.4 would be officially called Kit Kat which is again something related to food. Android 5.0 Key Lime Pie is an all new Android OS which is in the making by Google and is slated for global release this May 2013 in Google IO event. Android 5.0 is slated to come with the Google Nexus 5 which as of now at least as per the rumours will be from LG Electronics. Though we don’t have the exact list of specs or features except the purported specs and features of NEXUS 5 which you can read the same in the corresponding link. After Jellybean 4.2 firmware, directly Android version will have a jump to Android 5.0 which is dubbed as Key Lime Pie. Also, it’s in the news that the reason for Google going slow is the patent infringements, it wants to doubly make sure that every new feature which is adopted is natural and is not inspired from available options in the market. Key Lime Pie Android 5.0 OS will be looking to optimize the battery life which is a concern for most of the Android based smartphones and also it will address issues like frequent updates as Google is trying very hard to come something like Silent updates where in user won’t need to manually update the device. Also, FM Radio which still didn’t make in the NEXUS 4 might just get placed in the new Nexus 5 along with the LTE Capability which will be added in the NEXUS 5. In terms of the OS features, it’s expected that the whole user interface will get a face lift and some new features will be added to compete with Direct Call, Smart Scroll etc. Also, the File explorer will be added in the new OS Android 5.0 which still didn’t make into the list of Android firmware. Adding to the list of deserts, this Android 5.0 Key Lime Pie will be a true successor of all other its former versions. Google Babble which will be an interesting utility when it comes to unified messaging too will be added in this OS. To start with this firmware will be supporting all major and popular smartphones like Galaxy S4, Note 2, Xperia Z, HTC One and LG Nexus 4 but for other devices we need to wait for the confirmation from other handset manufacturers. There were speculations that SONY too is working for the making of nexus 5 smartphone, but there are no details as of now yet either from SONY or from Google. Google has announced the Google IO event in May 2013 which is between May 15 – 17. There are also rumors that Motorola in association with Google is also working in the making of the Google X Phone by Motorola. With improved RAM usage, brighter interface, new Android PLAY Store which may be 4.0.16, better gesture keyboard, a dedicated Google Video Chat app, cross device sms sync, a never update option may be some of the features which Google will be adding into the list of Key Lime Pie. We will be updating this article with full functionality features set below in coming days. Rumors and Android seems to be an integral part now and fast pacing Android sees yet another big news which says that Android 6.0 will be called as “Key Lime Pie”. While Android 5.0 Jelly Bean is still yet to be launched, there’s good amount of time for Google to decide on this name for Android 6.0 as Key Lime Pie. This name comes on the similar lines of naming all the Android firmware versions on the Deserts. 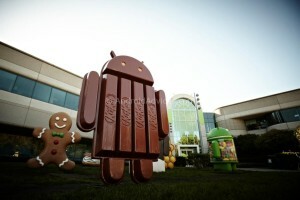 Till date Cupcake, Donut, Eclair, Froyo, Gingerbread, Honeycomb, the current Ice Cream Sandwich has made up the list of firmwares for Android while Jelly Bean will be launched very soon and is expected to arrive in Fourth Quarter of 2012. When we talk of numbers, these aren’t looking great from any angle. While Google is readying the roll out for Android 5.0, while the Gingerbread running devices constitutes around 60%, ICS just managed to roll out for 1% of Android devices which is a cause of concern. We can just hope that this changes quickly and Google adopts the policy which not just supports classes but also masses when it comes to the new firmware update roll outs. For all the detailed report on the market share of different Android versions, you can also refer to the below image. If you compare with other, the market share of Android had declined by 13%, while Apple’s iOS market share increased by 17% in Q4 compare to Q3, last year. According to the various reports, 2012 is kept reserved for the launch of Jelly Bean Android 5.0 version while 2013 will mark the arrival of Key Lime Pie which is the probable Android 6.0 firmware version. It’s very unfortunate that older devices are not fully yet updated to the Gingerbread or Ice Cream Sandwich Android 4.0 versions despite hardware requirements meeting the criteria for the roll out. Though the blame game continues between the Google and device manufacturers, it’s only the users who fall prey to No Updates. Though there is still no official confirmation on the same from Google Inc., we can only say that it’s better to play a wait and watch game as its still far to conclude whether this will be a probable name or not. Don’t forget to rope in your comments on the same or else just in case if you have any alternate name which you think should make it to name Android 6.0 other than Key Lime PIE. You can also alternatively tell us in the comments section just in case if you want any additional features in the Android 6.0 firmware version which will be dubbed as Key Lime PIE. While Blackberry and Windows platform is still growing up, Android is fast pacing the lot of mobile Platforms. Google has many plans ahead, which users already find out, either through their press release or some leaks. But still, we could find out the names of their next Android operating system versions, that could possibly be the name of their version 3 generations later. And these can be called the weirdest names!? 1.5 version was called Cupcake. 1.6 version was called Donut. 2.2 version is called Froyo, the one which is being released globally in most of the devices. And now the news have arrived, that Google has named the very next versions’ name – Ice Cream, which is possibly the name of the 4.0 version. There is no news on the dates of the release of the 3.0 version and the later ones, but the names have already come in. If they take it every 6 months for a new version to be launched, Ice cream won’t come in before the mid-2011. @ Alex, quel commento è probabile che non fatta da un lettore normale, ma piuttosto da un lettore in visita che ha inciampato sul posto per caso. @edc60b3ff384a5958d038be525f0b06e:disqus Android 6.0 Key lime pie s gonna launch soon….!!!! i hav a samsung galaxy fit hw to upgrade it .. n to which version ? Can i upgrade my galaxy ace(2.3.4.) to icecream sandwich(4.0.3). Yes you can very well apply the update! I have sony erricson mini pro 2 (sk17i) currently it has 2.3.4. and when i checked for the update, it showed 4.0.x.x.x. and then i updated it using PC compinion. but it still shows 2.3.4….. not 4.0.x.x. Can I change my phone firmware new one? If it’s possible tell me please which one? no, its not recommended as its on a n/w locked firmware! can i unlock the phone? yes you can very well unlock the phone! which package you are looking for? for ICS you need to wait few more days! you can apply the update by following the above procedure! Can I upgrade my Motorola CLIQ XT from 1.5 (cupcake) to 2.2 (Froyo)? can i upgrade my galaxy mini?? it’s easy. Come visit my Facebook page and i will help you to upgrade it. how do i upgrade it to the gingerbread? yes you can update with the same! So can anyone tell me when the OTA update to 2.3 Gingerbread will be available in the UK? Or in what decade Tablet owners can expect to get the OTA update to 3.0 Honeycomb? Google is never going to convince consumers to move away from Apple or for Corporate users to choose android devices over say BlackBerry or Apple as the seem to be completely inept and incompetent. This is not helped in anyway by the handset manufacturers or the various carriers currently trundling out ever changing android devices while never seeming to get one handset that is capable of delivering the elusive benefits of android over Apple or BlackBerry. As an android user with a Samsung Galaxy Tablet (7″) and an HTC Desire HD and an advocate of the Android OS, I have been so disappointed with the support of Google and the handset manufacturers that I will (come renewal time) be very happily but still somewhat downheartedly goodbye to Android and becoming a (reluctant) member of the Apple or possibly the BlackBerry family. There is something to be said for OS and handsets to be inextricably linked which is ultimately beneficial for end users be they individual consumers or corporate users. Google with each new OS Version and multi manufacturer supplied handsets are the undertakers nailing the nails into their own coffins. There was a change happened here. The 2.3 version is now called the Gingerbread and the 3.0 is the Honeycomb and the 3.0 is made to exclusively work with the tablet devices. No news about the Icecream version yet.